Musicians from Poland: Find out more about Chopin! Listen to the latest episode of Baron Grindwal's Polish Treasure Hunt and download the series below! We’re on a treasure hunt! That’s a POSZUKIWANIE SKARBÓW in Polish. We’re using Baron Grindwal’s map to learn more about POLSKA – or Poland as we call it in the UK. Baron Grindwal was a riddler – and so to explore POLSKA, we’re going to have to solve some of his riddles. You’ll find all kinds of music in Poland – from pop music to rock to classical. Music in Polish is MUZYKA. There are huge music festivals too, like the Open’er Festival in GDYNIA where you’ll find all the big popular stars, Warsaw Autumn for contemporary classical music and the Wratislavia Cantans International Festival in WROCLAW for classical vocal music. In this episode, we will find out about POLISH MUSIC. We are searching for a famous Polish KOMPOZYTOR – that’s a composer. So let’s hear the first riddle. 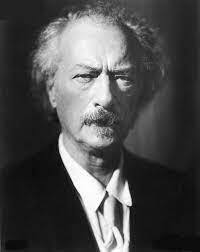 As well as being a famous composer, PADEREWSKI was a prime minister of Poland. In that role he helped Poland to regain its independence in 1918. So he’s certainly someone who’ll be remembered in the history books for a long time to come. But the riddle mentions Paris. Paderewski may have visited, but it’s not a place he’s associated with. 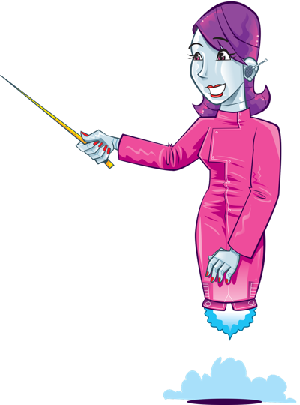 A pianist – PIANISTA – so we’re looking for pianos. WOJCHIECH KILAR is a composer who wrote music for many famous films – including one called “The Pianist” which won many Oscars. So we’ve certainly got a piano, just like the riddle says! And Kilar took inspiration from Polish history and used folk music from the Tatra Mountains as themes in his work. But KILAR came many years after the Baron and his map. Well, there are many trees in Poland – including huge forests with bears and wolves. And in Warsaw there’s a famous statue of a composer called FRYDERYK CHOPIN. And look – he’s seated under a willow tree! Chopin was one of the most famous composers and pianists of all time. In fact, he rarely wrote for any other instrument. So if it’s pianos we want – this could be the man! Born in Żelazowa Wola near Warsaw in 1810, Chopin spent a lot of time in Paris, composing and performing, and also teaching others to play. His beautiful piano compositions are loved throughout the world to this day. So we’ve definitely found someone who’s made history! Chopin took inspiration from Polish folk songs, including creating 59 Mazurkas – MAZURKI and 17 Polonaises – POLONEZY – which he based on traditional Polish national dances. Chopin’s music made them famous across the globe! The International Chopin Piano Competition in Warsaw attracts the best pianists from all over the world every five years! Click here to learn more Polish! Explore more of Poland with Baron Grindwal! You can listen to the series below or download for free from your provider.